Oooo-ooo-oooo! 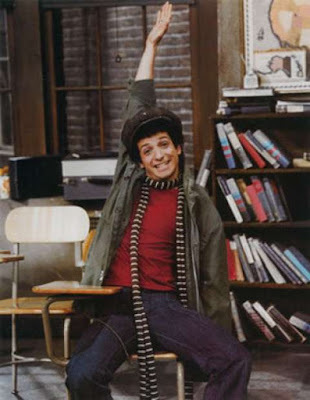 Arnold Horshack has the answer! Do you feel that TV specials have lost their holiday feel the last few years. Most holiday fans have fond memories of the music specials like Dolly Parton & Kenny Rogers every year on TV. As of late we have had Blake Sheldons comedy skits or more over produced specials. Have the major TV networks lost touch on the heartwarming part of the holidays? Thanks for asking your question Drew. The answer is kind of complicated--so hang in there with me while I try to explain my thoughts. You long for the musical Christmas TV specials of your youth. We all do--many of us grew up watching Christmas TV specials and we connect happy, warm holiday childhood experiences with those TV memories. It's natural--we all feel nostalgic at Christmas. For you, it's Kenny Rogers and Dolly Parton's Christmas TV special. For someone older than you, it may be an Andy Williams Christmas special. Someone younger might feel nostalgic about watching a more recently made Christmas TV program, for example An American Idol Christmas special or a holiday installment of Glee. Most of us tend to return to those Christmas TV specials from our youth when we're looking for our holiday spirit. Some things never change. 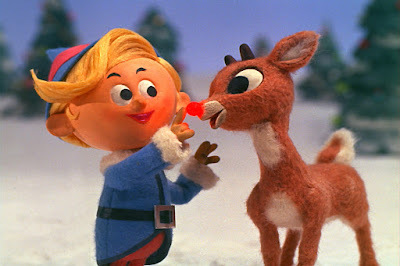 Everyone still loves Rudolph--and it has aired on a major network every year since 1964. We're lucky that we live in an era when we can re-watch these programs--even if TV networks don't re-air them. I hear from people that tell me they have a family tradition of re-watching It's a Wonderful Life each year--whether the movie's TV broadcast fits their viewing schedule or not. They watch a DVD or stream it, or what have you. It is quite a convenience to be able to have this much control over our entertainment choices. I encourage everyone to find access to whatever Christmas/holiday program makes you happy and enjoy yourself. I know the Rogers/Parton Christmas special is not released on DVD and doesn't air on TV annually anymore--but maybe you can find clips on Youtube or elsewhere while we wait for its official release. You're not alone if you feel that contemporary Christmas TV specials don't live up to the TV specials of your youth. However adults in the 1980s thought this same thing about the contemporary Christmas TV specials then, and adults in the 2000s expressed a similar complaint, etc. Let's face it--rarely can something new match the meaningful, emotional connections with Christmas that were formed in our youths. We can be entertained by new programming but it's far less likely that we'll be as deeply impacted. That's kinda how nostalgia works--it exists when we look back upon the past. It is entirely possible that a decade from now, we'll all feel nostalgic about a Christmas TV special that debuted in 2015. 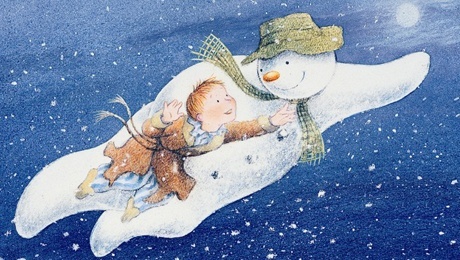 I absolutely love and adore the animated TV special The Snowman. However, it wasn't created until I was an adult and I'll probably never be able to see it with the same wonder and amazement of a child's perspective. And, that's okay. I watch it again and again because I enjoy it as an adult too. At the same time, television has drastically changed since the explosion of cable TV networks (since the 80s and 90s, specifically). TV networks no longer create entertainment aimed at everyone living in the same home. Instead, networks attempt to appeal to audiences based on very precise demographics. For example, Lifetime doesn't care if husbands or sons are watching--and the Cartoon Network isn't creating entertainment for my parents. You get the idea. That being said, there are new music variety specials each Christmas airing on TV--they just may not be on a network you are watching. TV viewers now split their attention between hundreds of channels--and almost ALL of them have holiday programming. The days of the three major networks (ABC, NBC, and CBS) having a monopoly on the best of TV entertainment are behind us all. Another change on television in the last several decades is a broader sense of comedy--jokes may get dark, sarcastic, or even sacrilegious. Our culture has embraced this shift--and television reflects it. This style of comedy--especially at Christmas--is often an attempt at edgy, hip humor. I see it less as a lack of Christmas spirit but more an attempt at relevance on behalf of entertainers. Granted, it's a style that doesn't appeal to everyone. And, styles change. Aren't we lucky we live in an era when we can watch what we want from Christmases past? Thanks for your question Drew. Did I give you a satisfying answer? Anyone else have a question about Christmas TV entertainment? Ask me on social media or place your question in the comments HERE. Did you see my response to Answer Time #1, Answer Time #2, Answer Time #3, and Answer Time #4?